Midas Gold Corp.’s Golden Meadows Project is located approximately 150 km northeast of Boise, Idaho, USA, near the historic mining town of Stibnite, Idaho. The robust project has an already defined multi-million ounce gold mineral resource and has significant room for growth. There are several gold deposits located within the project. The major known deposits are located principally within patented federal lode claims. The Hangar Flats, Yellow Pine and West End deposits were the site of past mining activity, which occurred intermittently from 1925 through 1997. In 2011, Midas commenced drill programs to expand its mineral resource estimate. JDS was contracted to expand the existing camp facilities for the planned winter drilling program to employ up to 75 people. 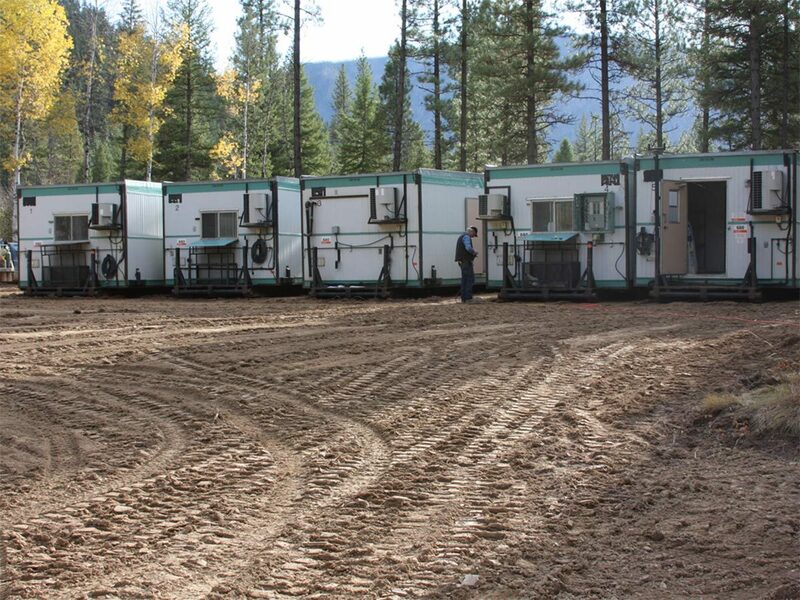 JDS acquired, transported, and placed into service the Midas-1, Midas-2 and Stibnite camps in Yellow Pine and Stibnite, enabling the winter drilling program to proceed. JDS fostered a safety-oriented mentality on-site and helped bring about a paradigm shift for both thinking and working safely at the site. JDS also proposed and championed the movement of helicopter lifted drilling supplies (initially stored around the core shack) to the new helicopter hangar area, away from the already congested core shack area and all the people working there. 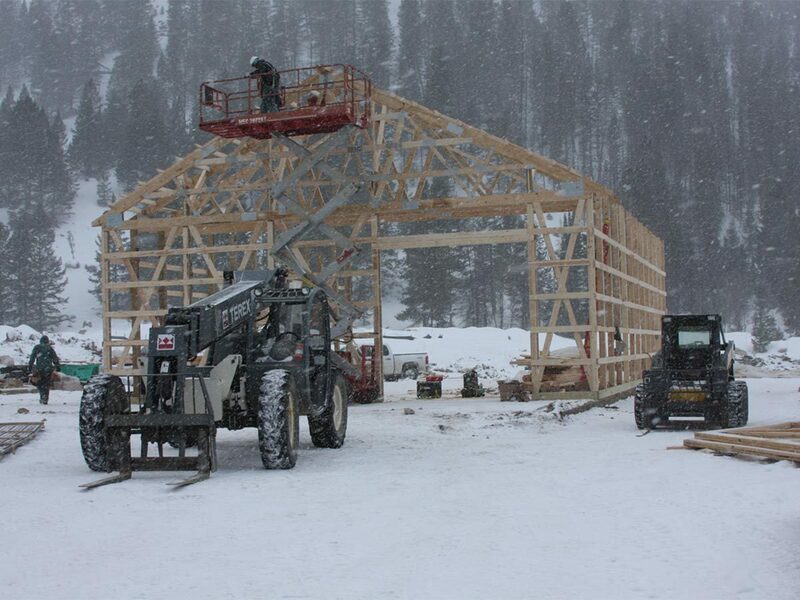 JDS fast-tracked construction of the helicopter hangar and fuel farm timeframe so both would be operable for the winter 2011-2012 drill program.